Friend or Foe? Neither, or maybe both. The assignment for this post was to “Make your own case for and/or against Intellectual Property as a legally protected right.” My position aligns fairly closely with the original copyright clause in the Constitution. 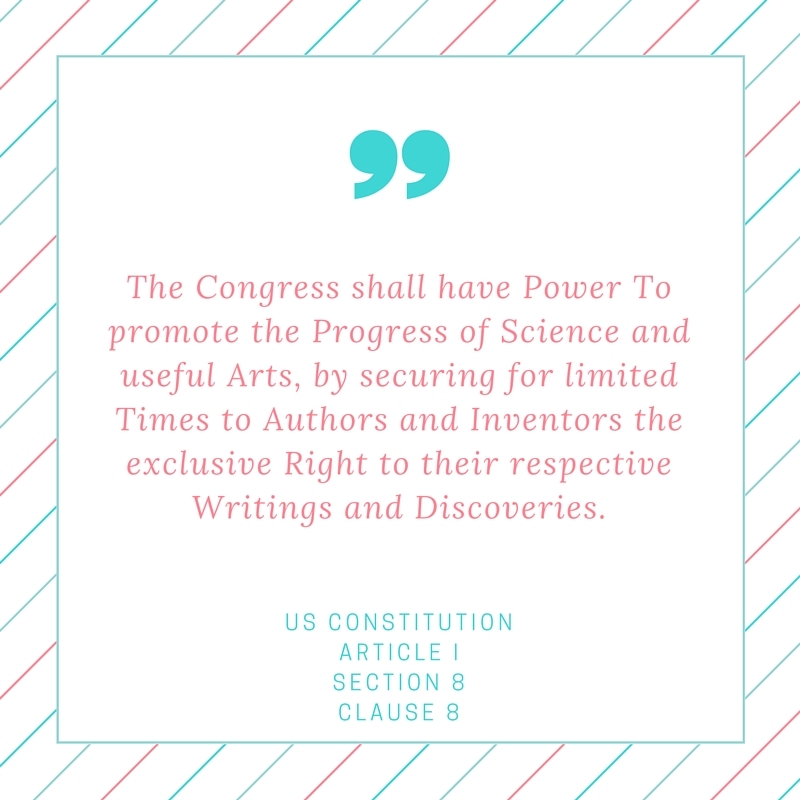 I think IP should be a legally protected right–but the intent must be to promote the progress of science and useful arts, and these protections should remain only for a limited time. 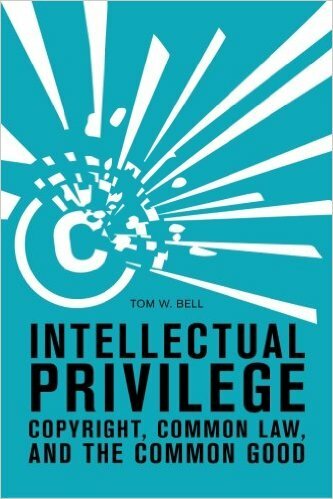 I argue in favor of limited intellectual privilege in place of a strict conceptualization of intellectual property. According to Kinsella, IP “covers several types of legally recognized rights arising from some type of intellectual creativity, or that are otherwise related to ideas. 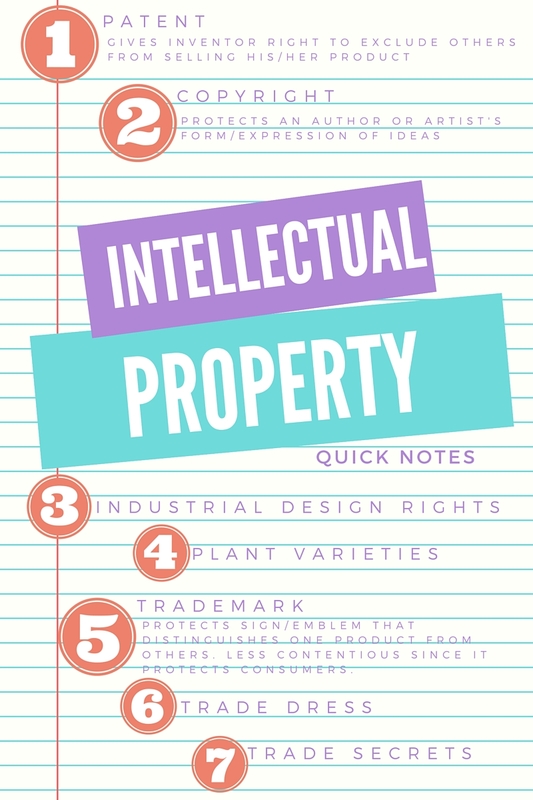 IP rights are rights to intangible things—to ideas, as expressed (copyrights) or as embodied in a practical implementation (patents).” Intellectual property rights include patents, copyright, industrial design rights, plant varieties, trademark, trade dress, and trade secrets. Many argue that intellectual “property” isn’t an accurate term. Property rights are an economic necessity designed to address the scarcity of resources. For example, if I own a particular cow, that prevents you from owning that cow. The resource is finite. In this way, “property” is rivalrous. Intellectual “property,” on the other hand, functions differently– it is non-rivalrous, and “It is possible for someone to teach a work of the mind to another without unlearning it himself” (according to Lawrence Lessig).I can own a copy of a software program without having to take it away from you. There is no “natural scarcity” in intellectual property. Consequently, many have proposed the use of different terms to more accurately capture the intellectual property debate. Out of the list of proposed terms compiled here, I’m inclined to agree with the term “intellectual privilege,” since I believe it more accurately captures this rivalrous/non-rivalrous distinction. Ben Franklin: inventor of bifocals, electricity, and intellectual property? That we enjoy great Advantages from the Inventions of Others…we should be glad of an Opportunity to serve others by any Invention of ours, and this we should do freely and generously. So, this seems to present a contradiction. 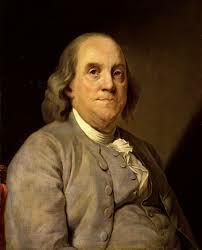 Men like Franklin were influential in the writing of Article I, Section 8, clause 8 (either Ben Franklin suggested to Madison that the clause be added, or Jefferson and Madison discussed the clause in a series of letters). So why, then, would Madison, Jefferson, and Franklin accept an IP provision in the Constitution if they felt strongly about open knowledge? They understood the benefits of intellectual privilege and wanted to ensure its place in their new government. Like many of the founders of this country, Franklin didn’t really see copy or patent rights as “rights”… He saw them as temporary monopoly privileges, designed to encourage writers and inventors to produce things that would ultimately accrue to the common good. To the extent that he supported these sort of monopolies, it was to coax the best out of people. 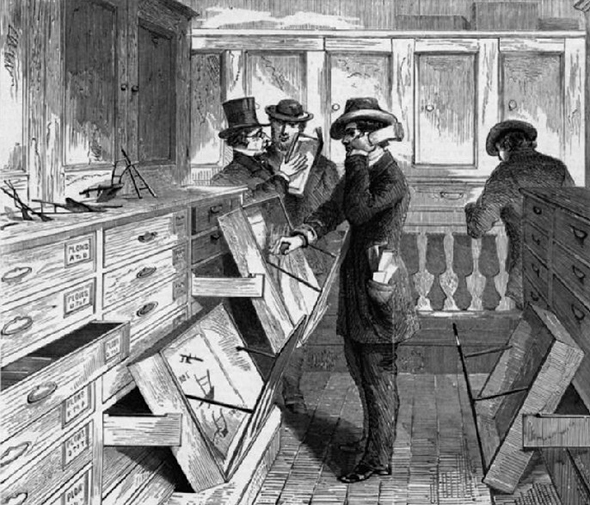 Patent Office examiners at work published in Harper’s Weekly 10 July 1869. Monopolies tho’ in certain cases useful ought to be granted with caution, and guarded with strictness against abuse. The Constitution of the U.S. has limited them to two cases, the authors of Books, and of useful inventions, in both which they are considered as a compensation for a benefit actually gained to the community as a purchase of property which the owner might otherwise withhold from public use. There can be no just objection to a temporary monopoly in these cases: but it ought to be temporary, because under that limitation a sufficient recompense and encouragement may be given. Thus, even though the Founding Fathers believed in open knowledge, they argued we should have limited IP for both moral reasons and financial reasons. Out of all of the objectives of IP listed here, and “debunked” here, I found the morality/fairness objective and the financial incentives objective of IP to be the most compelling. According to Locke, every person has a natural right over the labor/products that he or she produces. Appropriating the works of their hands is unjust and equivalent to a violation of themselves. If we want to look at even more historical texts, an old Biblical proverb states, “The laborer is worthy of his wages.” The person who does the work, in other words, should be the one to benefit. Many who argue against IP claim that it primarily supports the elites; it helps large corporations make money by copyrighting anything and everything. However, I think IP, properly crafted, can also protect the individual from losing all the benefits of his or her individual labor to the elite or powerful. Let’s say you write a great book and publish it with a small company. A massive publishing company republishes your exact book in a cheaper copy and under a different author name, and consequently no one buys your version. You spent 6 years of your life working on this book, and you get no money and no credit; the massive company gets all it all because they have power and resources and you do not. Consequently, IP protections have the potential to protect the little guy (you) from the elites; it has the potential to make sure that the “laborer” is the one who gets the wages. Lessig argues that IP is non-rivalrous and thus should not be treated like rivalrous property, and I agree, these are two separate categories and we shouldn’t treat them as identical. However, while ideas are an infinite resource (rather than a scarce resource), the tangible benefits proffered by those ideas can be finite. Someone is going to profit from a great work of art or an invention or a new drug, and those benefits certainly are finite. Ideally, IP laws make sure that the person who bears the burden of production or creation is the person who reaps the benefits (the person who gets paid). A moral distribution of the costs and benefits in a society sets up a “fair playing field” for economic activity. One of the most common arguments in favor of IP protections is that, without IP, no one would have an incentive to invent. If they are not guaranteed the fruits of their labor, they would not work hard or be creative. For example, for every new drug approved by the FDA, it takes 5,000 to 10,000 experimental drugs, 10-15 years of research and an average of $1.2 billion. What motivation would companies have to devote these amounts of resources to developing drugs without IP protections, without some assurance that they will have the opportunity to recoup the costs of production at the end of the arduous development process? (Side note… I hesitate to bring up this example because pharmaceutical companies can/do abuse the patent system in terms of choosing profit over protecting the public good, but, I digress. That discussion is outside the scope of this post). An inventor has a natural right to reasonable compensation for his efforts, but does not have any right to hoard his learning if such reasonable compensation is available. The Federalist asserts that the rights of inventors and authors stand on the same logical premises. Returning to Article I, Section 8, the whole purpose of IP in the first place is to “promote progress.” Limited IP protections can promote progress by providing a guarantee for a return on investment. So why do I like intellectual privilege instead of property? IP, properly construed, balances two competing demands: the privileges of the creator, and the well-being of society. Consequently, I think IP should not be “absolute protection,” nor should it guarantee creators the right to capture the full social value of their inventions. Doing that favors creator or inventor, and fails to appropriately balance the competing demand of the public good. We face a choice between two ways of thinking about, and talking about, copyright: As an intellectual property that authors and their assigns own, or as an intellectual privilege that they merely hold. Perhaps no label can fully capture the unique and protean nature of copyright. Recognizing it as form of intellectual privilege would, however, help to keep copyright within its proper legal limits. Sometimes we assume that if protecting IP promotes progress, more protections mean more progress. Or, we assume that if IP stifles creativity, we should get rid of it altogether. But I think that usually good policies aren’t found at the extreme of either end of the spectrum. Intellectual privilege that provides limited protections for a short period of time in specific circumstances offers us an opportunity to reward the hard of work of the laborer yet still protect the public good. Wow. Job. Well. Done. You’ve hit many interesting points but two that I want to point out for other students who read this. 1. Lewis Hyde. He’s an amazing thinker on this directly (see his book _Free as Air_) and indirectly, through the much bigger picture (see his book _The Gift_, which I have recommended and given away more times than I can count). I really need to put together a selection of his writing that would be within the bounds of Fair Use for this class. One thing in all of this that remains important when considering rivalrous vs nonrivalrous and scarcity vs abundance is the large and indirect issue of “the commons.” Lessig has written much about this, of course, and it runs through the idea of Creative Commons, for natural reasons, but I think it’s an important third consideration that is always lurking behind and within the normally two-sided scenarios of the big vs the little guy or the artist vs the consumer, etc. First off, wow. What an article! I learned a great deal about intellectual property (or privilege, as you prefer) in this post…and I read many of the same readings as you! Thank you for introducing me to the term intellectual privilege. I like your way of viewing limited intellectual privilege as a way to incentive and reward creation but to also cultivate an environment that promotes the common good. I would be curious to learn more about how you view the role of intellectual privilege in the digital world. Digital things are easier to access and easier to share. How do policies about intellectual privilege need to change as a result of these features? Awesome post. Thanks for the well-written and thoughtful review. Thanks Linnea! I’m glad you found the post useful. Your question about intellectual privilege within the digital world is a good point, and not something I directly addressed in my post. As I worked on the Creative Commons assignment, it occurred to me that maybe something like CC licenses are a good attempt at managing intellectual privilege in a digital age. Because we can share and copy and access copyrighted materials so easily, it makes sense that we need copyright licenses that are just as flexible. I also read somewhere else that some suggest we should return to a system in which action was required in order to copyright something (so instead of copyright being the “default,” have public domain be the “default.”) I’m not sure how that would change the dynamic of copyright and intellectual privilege in the digital age, but it’s something worth thinking about. I’d love to hear your thoughts on how limited intellectual privilege would look in the pharmaceutical industry. For example, I wonder if limited intellectual privilege could be used to protect pharmaceutical industries until they make a profit, at which point they lose their monopoly. How is limited intellectual privilege a superior concept than intellectual property in the pharmaceutical industry? Glad you’re back, Linnea! I read Rebecca’s post, and it was very interesting! Like I mentioned, the key behind the idea of intellectual privilege is: balance the public good with economic incentive. We want to reward innovation, but not at all costs—the public’s well-being has to be taken into consideration too. What’s tricky about pharma is you can argue that these companies require a large profit margin in order to be incentivized to innovation…and only when they innovate does the public get new drugs. So it’s a conundrum. You mention that maybe intellectual privilege could protect pharma until they make a profit, at which point they lose the monopoly—that makes sense to me. Maybe what we need, too, is more transparency into what these companies are spending their money on and how much they’re making—the 42% profit margin that Rebecca mentioned is really high, so generally speaking, I think you could justify rolling back the scope and duration of these monopolies in order to better protect public interest. On the other hand, I imagine it would be really, really difficult to determine how much profit is “fair”—who decides what’s fair? The government? The industry themselves? To answer your last question, I imagine that intellectual property would say, “this drug is their property and they have the right to do what they want with it (pricing, etc. )” whereas intellectual privilege might say, “they have a privileged position with these intellectual goods, but that doesn’t mean they have the right to do whatever they want; consumers have rights, too, that must be protected.” So I think privilege is superior in this regard because it reintroduces public good into the conversation- and when you’re talking about people’s health and lives, that’s really important! It’s not an easy question, so thanks for bringing up an interesting discussion!